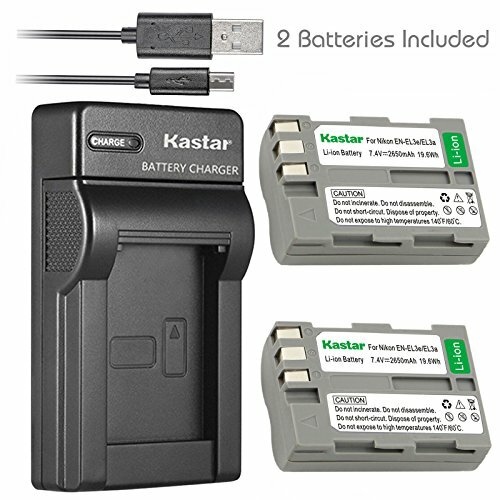 Kastar 2 pack high capacity batteries. Use high quality Japanese cells for longer battery life with no memory effect. New smart slim USB charge design, easy to carry. Input: 5V 2A; Output: 4.2V/8.4V 600mA. Can be powered by USB Wall & Auto Charger or a Computer, LED indicate: Red light for charging; Green light for standby or full-charge. With the newest generation of CPU control, automatic constant current control prevents battery from overcharging and short circuit. If you have any questions about this product by Kastar, contact us by completing and submitting the form below. If you are looking for a specif part number, please include it with your message.